Ganith-The Mathematics Club of VBIT has conducted EVOLUTE-2K18 in which activities like Selfie Math, Poker Quiz, Dumb C, Doddling, Mystery Snapper, Sudoko etc were organized on 14th & 15th February, 2018. 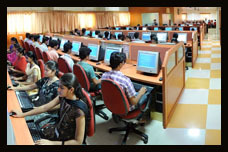 200 students from various branches were participated in this event. Dr.Acharya GRK, Professor, dept. 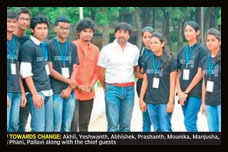 of Mathematics, NIT-Warangal was the chief guest for the event. Ganith-The Mathematics club of VBIT has organized MAT’TECH Fest 16, an inter college Tech-cultural event on 27th & 28th October, 2016 in which 400 students from various colleges of Hyderabad have participated. 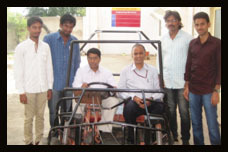 Dr.M.A.Srinivas, HOD, Dept. 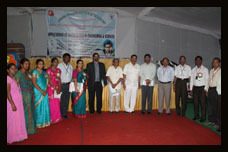 of Mathematics, JNTUH was the chief guest for this event. Activities like Paper presentations, Museum of mathematics, chamber of secrets etc were conducted on these two days. 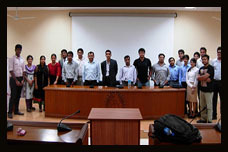 GANITH Club organized aGuest Lecture on QUEUING THEORY AND STOCHASTIC PROCESSES by Dr. V.V. Hara Gopal , Prof. & HOD, Dept. of Statistics, O.U on 25th march for II year Civil and IT students. As a part of Ganith club activities for the month of february, 6 first .BTech students were taken to Govt.High school, Aushapur and were made to explain some concepts of 6th std Mathematics using some innovative methods and teaching aids. 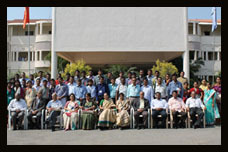 A two day state level symposium on “Applications of mathematics in Engineering and Sciences” has been conducted by GANITH, the mathematics club of Vignana Bharathi Institute of Technology, Ghatkesar on 23rd and 24th of Decemeber, 2013. This symposium is conducted to commemorate 126th birth anniversary of the legendary mathematician Sri Srinivasa Ramanujan and to celebrate CENTENARY celebrations of another Indian genius Mathematician Dr.S.Minakshi Sundaram. Ganith is initiated with a purpose to bring certain latest developments in the field of Mathematics relevant to all branches of Engineering. The event is organized in association with PADARTH, the annual tech fest of IIT-Mumbai whose elimination round, NIRMAAN is held at VBIT. NIRMAAN is conducted by departments of Metullargical engineering and Material sciences of IIT Bombay. The dignitaries on the dais were by Dr.N.Goutham Rao, the Chairman ,Dr.G.Manohar Reddy, the Secretary, Dr.Jayant Kulkarni, Vice -Principal and Dr.P.Kousalya, HOD, Dept of H&S,VBIT respectively, who gave their inspirational words to inculcate such activities besides regular academics. The guests of honor for the inaugural and valedictory sessions were Prof.K.Kuppuswamy Rao, Rector, retired from Dr.B.R.Ambedkar Open University and Dr.U.Chandrasekhar, Director, Engineering Staff College of INDIA respectively. Both of them gave motivating lectures to the students as well as to the staff. A total number of 150 colleges from all over the state were a part of this event. 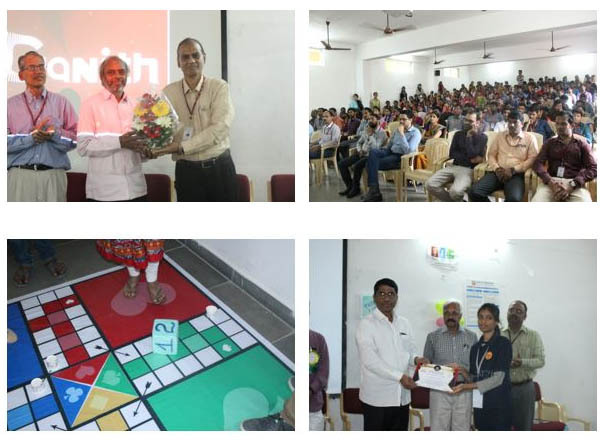 The college has conducted a number of fun-filled technical events like power point presentations, Ramanujan museum which is a blend of collage and poster presentations, quizotica, math hunt and many more spot events. The event emphasized more on making the students understand the importance of mathematics in daily life. 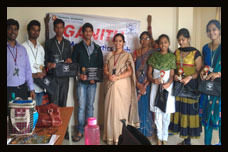 Ganith , The Mathematics Club has presented Gold Medals and participation certificates to toppers in Engineering Mathematics – I from each branch of 1st Year B.Tech, VBIT on 11th September 2013, for the academic year 2012-13. 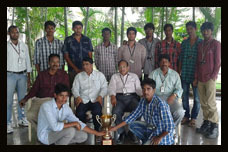 The awards were given away by the chief guest of the day Prof. V.V.Hara Gopal, HOD, Dept. of Statistics, O.U, Hyderabad. GANITH , The Mathematics club(First time in twin cities) of Vignana Bharathi Institute of Technology, Ghatkesar has organized a two day state level Symposium on Applications of Mathematics in Engineering & Sciences on 19th & 20 the December to commemorate 125th Birth Anniversary of the Indian Genius Mathematician Srinivasa Ramanujan. 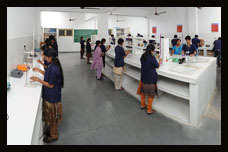 Many events like paper presentations, poster presentations, Quiz, Sudoku, Rubik cube, Mathematical artworks/ exhibits and collage competitions were conducted to B.tech and M.Sc students . 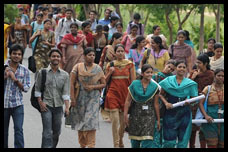 There was huge response of 325 participants from various colleges throughout Andhra Pradesh like JNTU Ananthpur, IIIT Basar, RGUKT, Bhimavaram, Nandyal, Narsaraopet, Guntur. 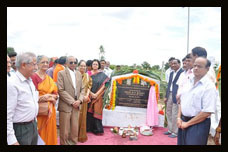 The chief Guest for the Inaugural session on 19th December was Prof. D Ramamurthy , Retired professor , Osmania University. He gave his Invited talk in two parts , the first one being the life and works of Srinivasa Ramanujan and the second one on Applications of Mathematics in various Branches of engineering. Dr.C.R.N.sarma, HOD of Humanities & Sciences Department, Dr.J.S.N.Murthy, the Principal , Dr.Manohar Reddy, Secretary and Dr. N.Gautham Rao were the dignitaries for the Inaugural session. Dr.manohar reddy said that the branches of Mathematics are the roots and various branches of engineering are its roots.The dignitaries have underlined the importance of Mathematics to all engineering students. In addition to the above academic events there were also events for fun like spot games and treasure hunt consisting of puzzles in Mathematics. The students had both fun and learning from the two day program. The guest of honour for the program was Dr.S.V.seshagiri rao, Retired professor of Mathematics, Osmania University. He revealed many incidents of Life of Srinivasa Ramanujan to prove that Ramanujan is a born Genius . 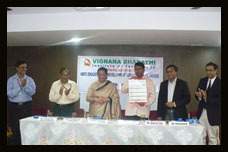 Later Guest of Honour was felicitated by the management members of VBIT. The chief guest for the valedictory program was Dr.A.Govardhan, Director of Evaluations, who gave the importance of Mathematical modeling and to find Mathematics in Nature as it is. 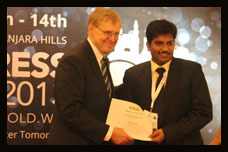 Souvenir , which is a collection of selected abstracts of paper presentations was released by the chief Guest. 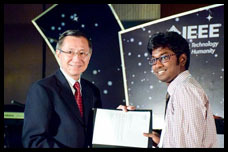 The prizes were given to the winners of various events by the guests. Vote of thanks was proposed by Dr.P.Kousalya, Convener and Professor of Mathematics, who was the chief architect of this program and the program ended with National Anthem rendered by the audience. As a part of GANITH, The Mathematics club, a Guest lecture on GRAPH THEORY was organized on 18th October by eminent professor, Prof. M. Venkat Das, Professor of Computer science dept., Osmania University for second year students of VBIT. Students of CSE-A, CSE-B and IT had the session in the forenoon and students of EEE, ECE-A, ECE-B had the session in the afternoon. M.Venkat Das, Currently working as Associate Professor in Dept. 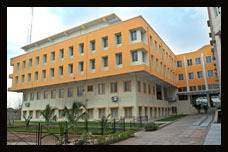 of Computer Sciences and Engineering and Chairman, BoS (Global), Osmania University, Hyderabad. He obtained his Bachelors degree from O.U in 1990 and Masters Degree from JNTU in 1996 and is pursuing his Ph.D from O.U. 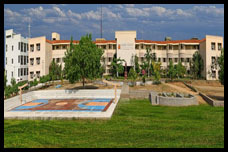 He Joined O.U as Assistant Professor in 1991 and became Associate Professor in 1997. He published 10+ research papers at various national and international conferences / Journals. He served at various levels in OU as Academician which include Chairman BoS-Faculty of Informatics (Autonomous). 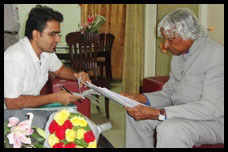 He achieved 1st rank in State level Eligibility Test (SLET) in Computer Applications conducted by APPSC in 1997. He authored book titled “information Revolution! Will it lead to a new social revolution”. Also actively involved in promoting for the social cause and to protect the natural resources. This club is attached to the dept. of Mathematics in H&S department. This club is initiated with a purpose to bring certain latest developments in the field of Mathematics relevant for all branches of the engineering studies. This year being the “125th Birth Anniversary of Sri.Srinivasa Ramanujan”, this club will be conducting competitive seminar presentations both for staff and students. This club invites all the faculty as members who are interested in the Engineering Mathematics and can promote relevant information to others from their branch of Engineering. Activities of this club will be intimated to all its members through group SMS or through the college website regularly. The formation of the club and its sole aim is to increase the liking or interest or fondness towards Mathematics as a subject and to make both teachers and students curious and inquisitive about the applications of Mathematics and to make them perform at a higher satisfactory level. Activities: Periodical activities that are planned for the academic year 2012-13 are as follows. In the month of October , a guest lecture by another eminent professor of NITW/JNTUH is planned along with competitions in Poster presentations for students of VBIT. In the month of December a Conference for students at regional level (including colleges in and around Hyderabad) is planned as 22nd is the Birth day of Srinivasa Ramanujan. 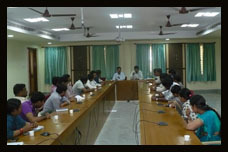 In the month of February 2013, Guest lecture for faculty of other colleges are planned. 2) Applications of mathematics in Engineering.